Product prices and availability are accurate as of 2019-03-30 11:25:35 EDT and are subject to change. Any price and availability information displayed on http://www.amazon.com/ at the time of purchase will apply to the purchase of this product. 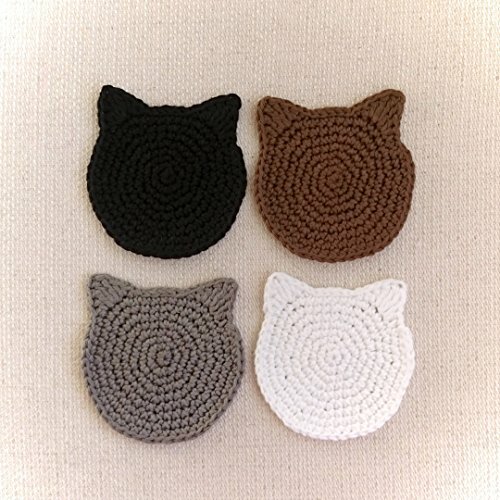 If you are a crazy cat lady or just want to give a pretty gift, these will be perfect! 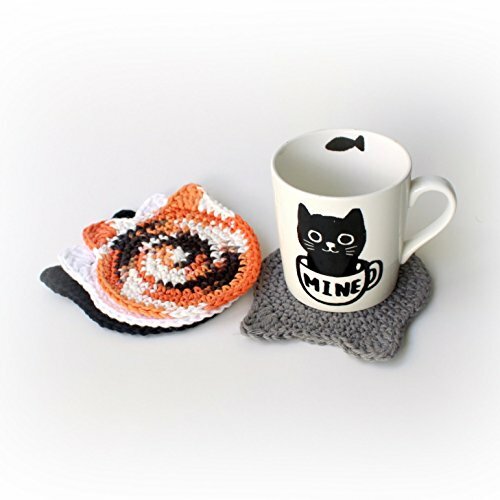 These coasters are handcrafted in 100% cotton, making them durable and easy to take care of. • Crocheted in 100% cotton yarn, any color you want. • Durable, sturdy and absorbent. • Big size, good for any kind of cup, glass and mug. • Calico is hand dyed and it resembles actual calico fur (not just some random colors mixed together). • Great gift for crazy cat people. • Super cute and fun! NOTE 1: There's no Siamese, tabby or tuxedo available. All colors, except calico, are solids. NOTE 2: If color not selected, I'll send white, black, calico and grey. 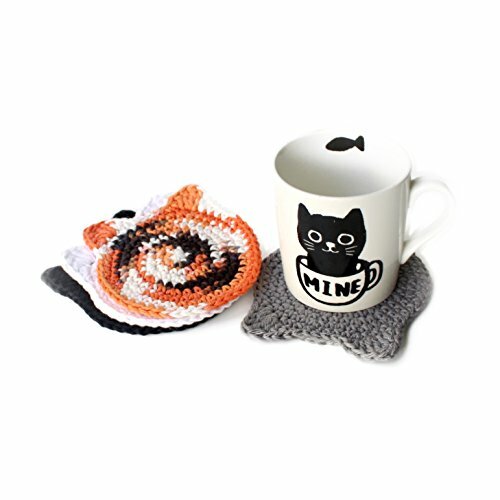 Get your cat ears coasters now and treat yourself with something pretty!